40 years ago, the average consumer saw about 500 adverts a day. Now, it’s more like 5,000! On the TV, on our phones, on our computers, in our car, listening to music – ads are everywhere! But none have as much cut-through as those you see on your travels and at leisure i.e. out-of-home (OOH). Billboards demand attention with scale, creative, colour or humour. Taxis and buses literally catch your eye as you go about your day, and strategically placed 6-sheets and digital ads infiltrate on-the-go buying decisions. When it comes to who is taking note of outdoor advertising, the results are incredibly wide-spread. To get noticed, you have to demand attention, but there’s a fine line between interrupting your customer and engaging them in meaningful, relevant content. A 2017 study by Neilson had some great news for advertisers looking to use outdoor advertising as a way to cut through the noise. Over half of the respondents (51%) noticed a poster in the last month, and 50% said they were highly engaged with the ads and messages. If you’re a regular commuter, sitting at a red light looking out the window, you’re more motivated to read and interact with OOH in an exclusive, uncluttered environment. That brings us to the first group of people who engage with OOH. 18-44-year-olds are the age range for the commuter audience, typically, which is great because this is the demographic who are most engaged with outdoor advertising. What’s great about booking your OOH with Bubble, is the way you can pick specific geographic locations to get maximum impact, as well as your desired ad space. Within a daily commute, especially on the way to and from work, there are so many opportunities to capture the attention of workers. You can choose locations near the underground, on train platforms, at bus stops or large scale billboards along busy roads. A study from the Department for Transport showed that 69% of UK commuters travel to work by car. With numerous locations roadside available (try these filters to get you started), you can be highly strategic about getting the most impact out of your campaign. A lot of time and effort goes into trying to unlock the right messaging that will appeal to today’s ‘youths’. Not referring to them as ‘youths’ could be a start. Regardless of what the younger generation is called, they are definitely susceptible to outdoor advertising. Particularly phone kiosk advertising! Growing up with technology at their fingertips leads this generation to be a bit distrusting of some advertising techniques. Clickbait and banner ads are definitely not the way to this audience’s heart. They also don’t subscribe to gimmicks and brand trust is at an all-time low. 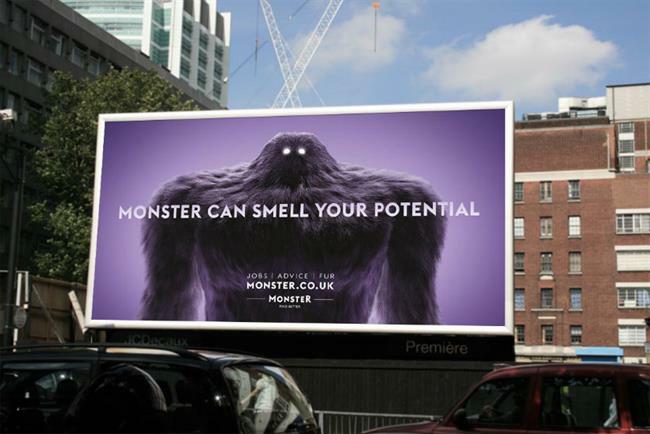 That’s where utilising OOH in clever ways helps you engage with a hard to reach demographic. Billboards offer fantastic message cut-through and with a great campaign, you can get people talking. Mixing this traditional medium with up-to-date technology like VR, AI, motion sensors, hashtags and social media – you can make sure your campaign has a real impact. 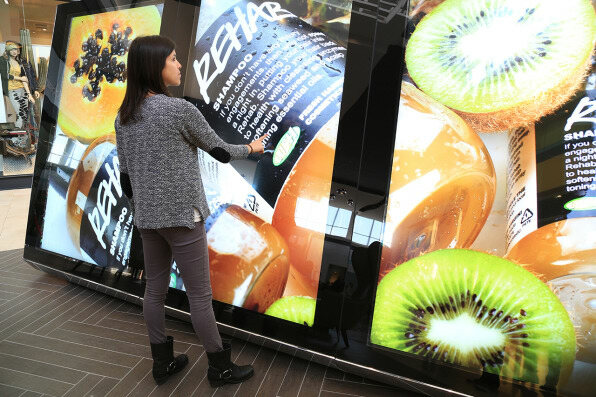 As digital-savvy technologies become more and more commonplace in our lives, it’s no surprise that these innovations are creeping into traditional mediums like OOH. You can take OOH to the next level with geofencing, to advertise specifically to customers within a geographic radius and combine it with digital outdoor advertising. Hyperlocal, targeted, geographically ideal marketing is what makes out-of-home so effective. When you think of outdoor advertising and shopping, your mind may go straight to the high street. However, Bubble also offers a range of spaces within malls and shopping centres. Around 8 million consumers visit shopping malls in Britain every week, that means advertisers will likely have access to a captive audience in ‘buy’ mode. The use of digital out-of-home in these locations is particularly prevalent and are 250% more effective than static ads. Not only does digital make an impact, but it’s also an incredibly cost-effective way of advertising. The best thing about outdoor advertising is the huge range of people you can reach with the messaging, and it’s not limited to advertising! OOH is a fantastic way to share updates, community events and information as well as advertising deals, products and brands. If you can narrow down exactly who you want to target, it’s an easy road to picking the ideal locations to reach your target market. Outdoor advertising is another tool in your advertising strategy and works extremely well in conjunction with other mediums. If you’re not sure where to start with targeting your audience, whether it’s a consideration of size, budget or format – just get in touch with Bubble’s experienced planning team, and they can point you in the right direction. The truth of the matter is that there are no limits to who you can target with outdoor advertising. The sports fan, the regular morning runner or a busy working mum – they’re all out-and-about reading and engaging with the creative messaging found in optimal locations. Want to get started targeting your ideal customer? Use the Bubble map to hone in on the perfect audience. https://bubbleoutdoor.com/wp-content/uploads/2019/03/architecture-buildings-bus-1453960.jpg 2048 1365 Sam Emms https://bubbleoutdoor.com/wp-content/uploads/2018/04/WEB_BUBBLE_RGB-1.png Sam Emms2019-03-30 02:38:012019-04-15 14:43:25Who do you reach with outdoor advertising?